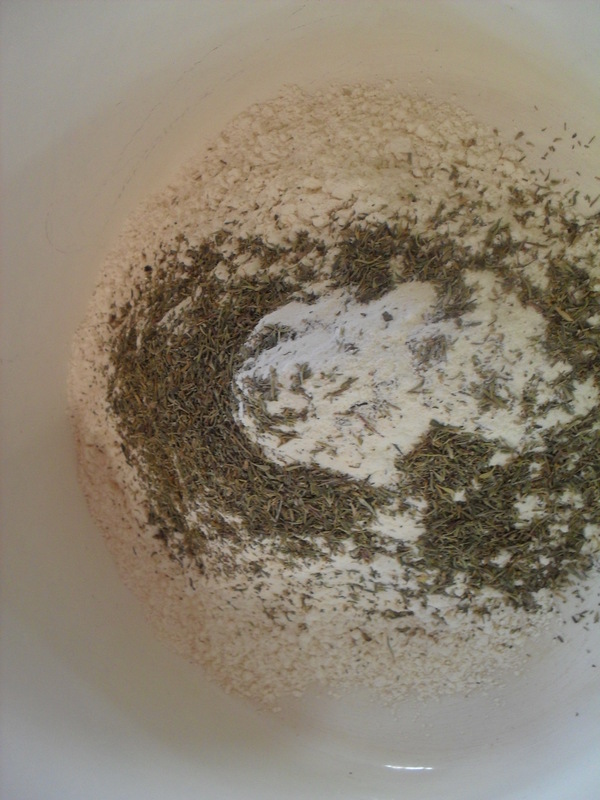 Mix Flour and Thyme together, add Chicken one piece at a time, and turn to coat evenly with flour. Heat Olive Oil in Dutch oven or heavy pot over high heat until shimmering, add Chicken and brown all sides, remove to holding plate. 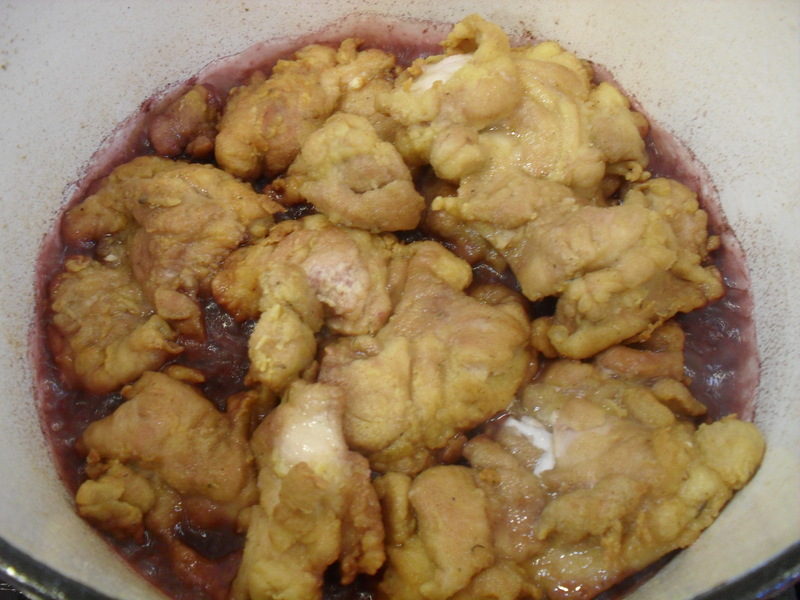 Drain any excess oil from pot, return to heat and add Red Wine, simmer for 2 minutes, add Chicken, turning to coast with wine, simmer for 7 minutes. 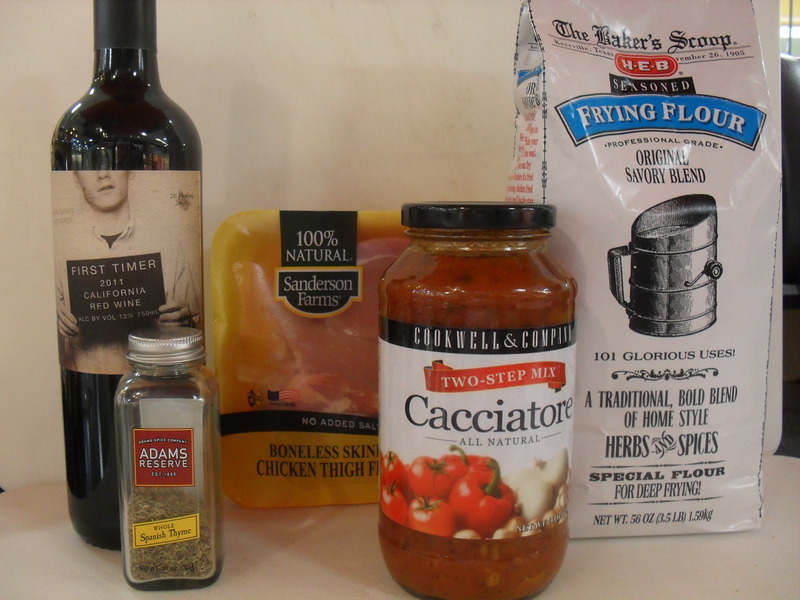 Pour Cacciatore Sauce over Chicken and turn Chicken to incorporate Sauce and Chicken together. 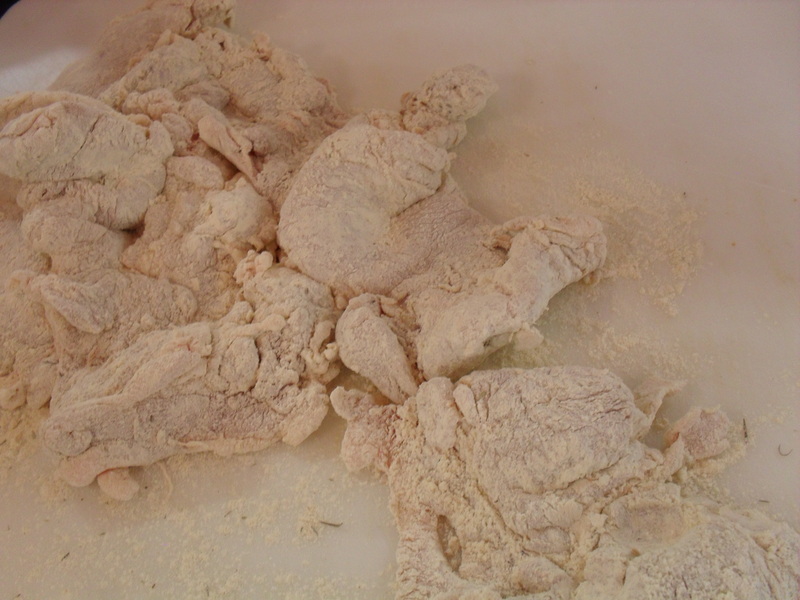 Cover and reduce heat to medium, simmer for 5 to 10 minutes or until Chicken is tender. My dearest Chef Daniela…………a compliment from you along with a stamp of approval mean a tremendous amount to me……especially on an Italian Dish!!!! Thank you so very much. 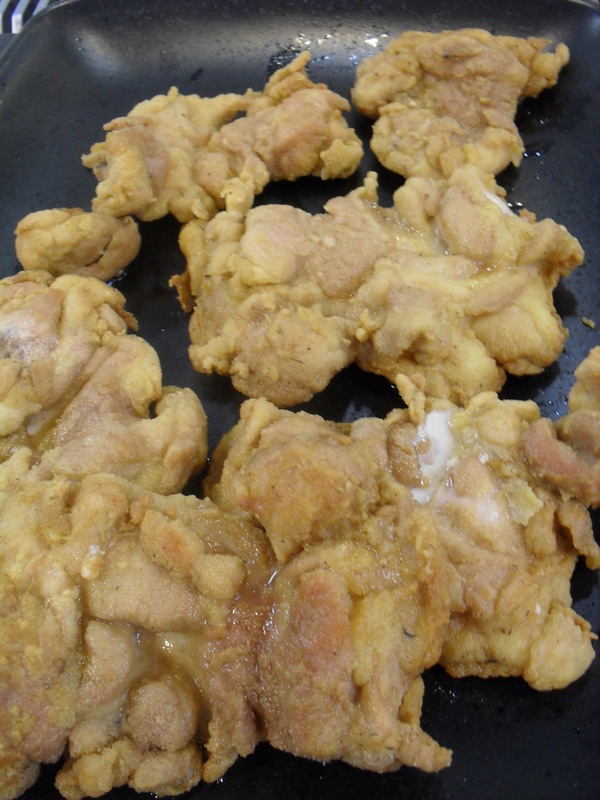 Chicken cooked in this wonderful Italian way has to be one of my most favorite ways of serving chicken. And, using chicken thighs is the only way to go. I agree with Julia Child, chicken thighs are the best part of the chicken. 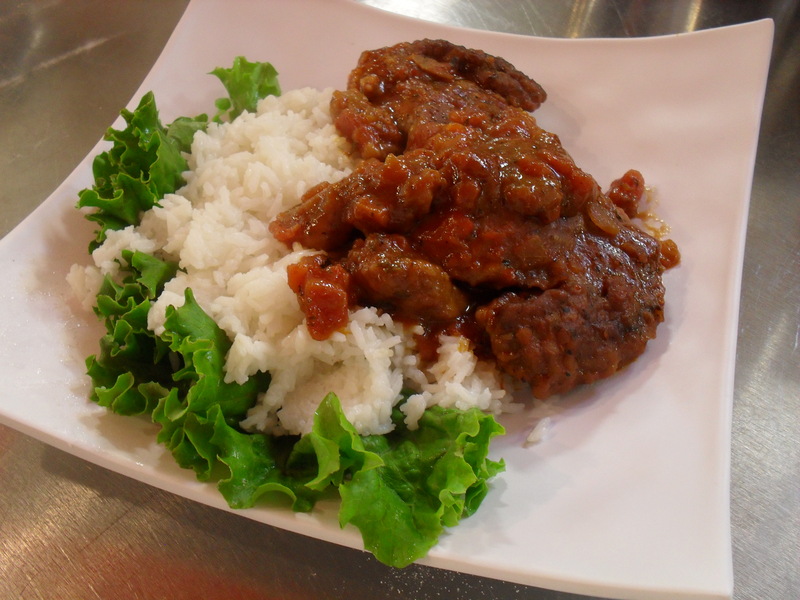 Full of flavour, kind to long cooking , and just down right delicious to eat.